The Remaining holidays (Pro –Rata based on leaving date) calculation has been enhanced to exclude any toil, carryover and any Bank Holidays which fall after the employees leave date. 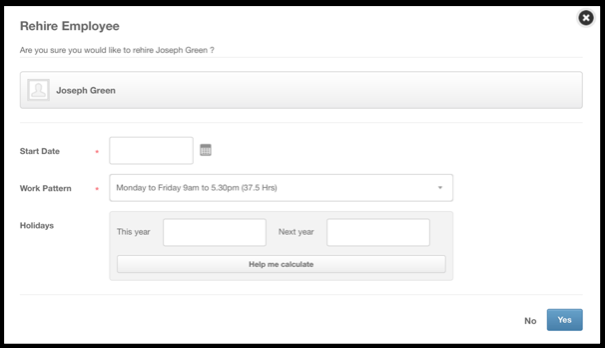 Now, when rehiring an employee there will be a pop up which will allow you to capture the new start date, work pattern and holiday entitlement. We have made several enhancements to the Logbook section. 1. 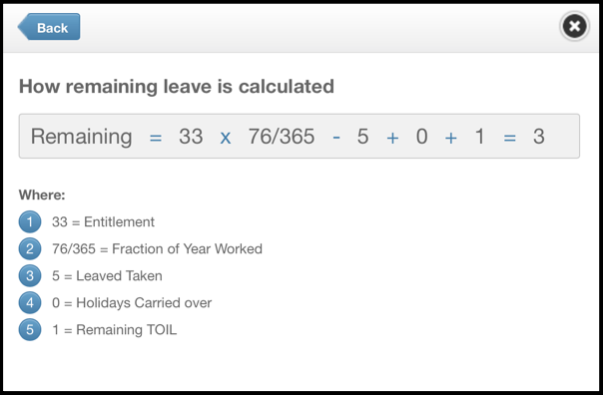 All current screens will now allow you to choose the access that you require for example you can now restrict employees from entering Appraisal information and allow employees and managers to enter training. 2. 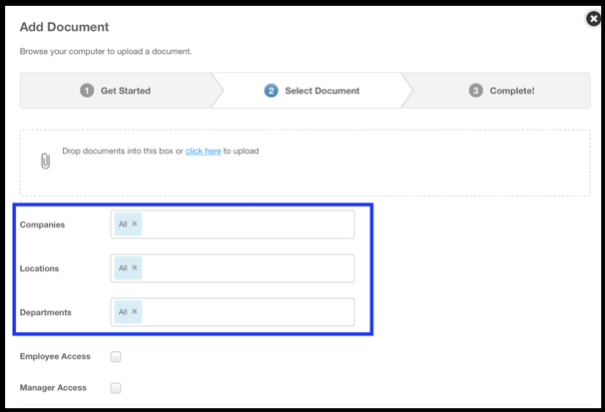 You can now attach multiple files to a Logbook entry and specify whether the document requires a digital signature. 4. We have increased the character limit in text boxes from 1024 to unlimited. 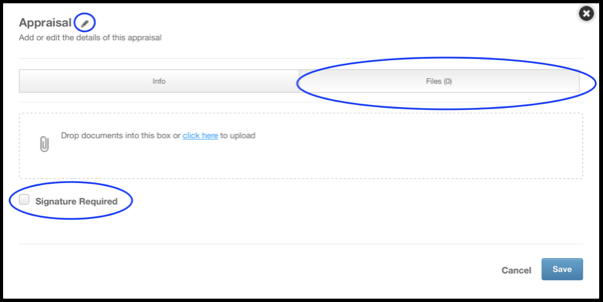 You will now have the option to add company documents for a particular Company, Location and Department. 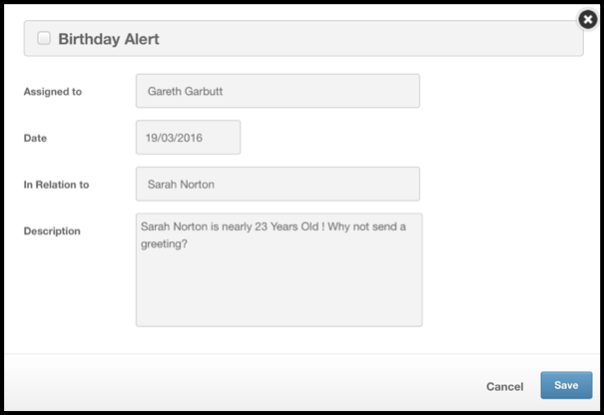 The Birthday alerts will now show the employees age. 1. 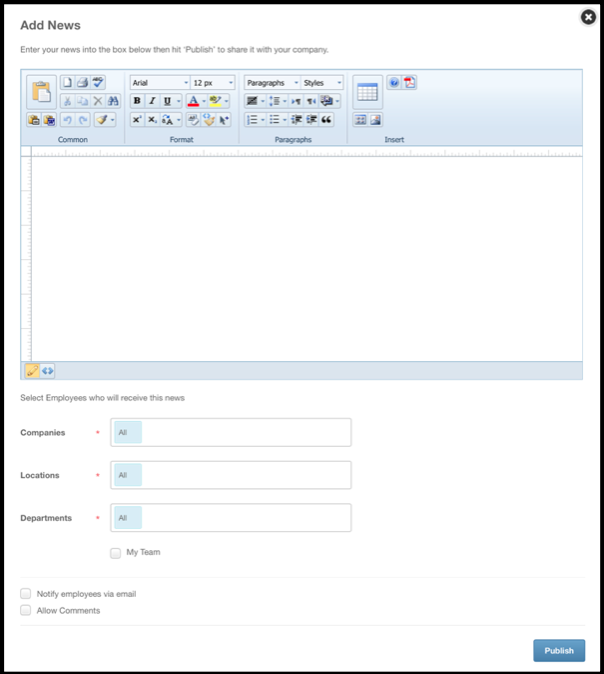 You will be able to enter News via a rich text editor, which will allow you to add images, files and more formatting options. 2. You can specify who the news goes to by either Company, Location or Department. 3. Managers will now be able to add news for their team.